Avoid variations in humidity. Humidity consistancy is the most inportant factor. The ideal humidity should be stable between 40 and 50 percent. Humidity control is critical because of an unusual physical property of wood called anisotropy. Wood cells contract or expand to changes in humidity, which can cause a wood stock to crack. When you touch or handle your collection wear gloves. Gloves will protect your guns from oils, dead skin and bacteria on your fingers, which overtime can cause rust on the bluing. 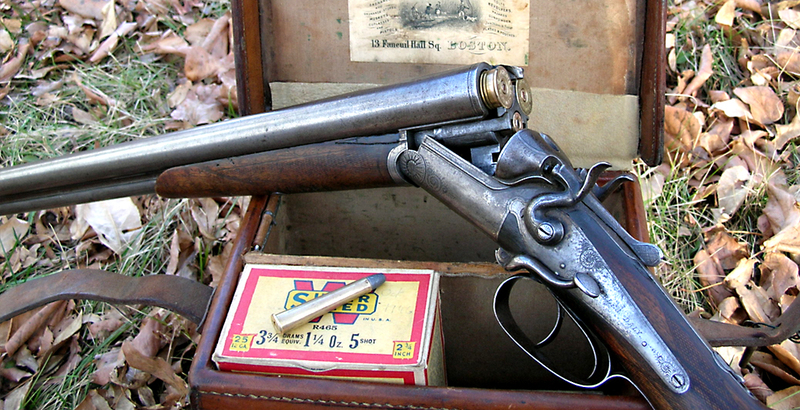 To preserve antique firearms, you want to limit the chances of corrosion. Dust traps moisture, which can cause corrosion. Never use spray dusting products, this can also trap moisture and cause corrosion. Don’t use alcohol of any kind when dusting or cleaning a wood stock. It can skin or strip an historic wood finish. Be sure to use broad, padded racks or supports. Narrow hooks or loops of wire should not be used to support your antique firearms in storage, transport or on display. The weight of the firearms is sufficient to cause indentations in stocks at the point of contact. To help preserve antique firearms, you can add sheets of foam pad to your gun rack. First you must seperate the wooden parts from the metal parts, they are cleaned and coated differently. Unless it should become absolutely necessary, leave the unfinished interior wooden surfaces alone. Clean the exterior of the stock with a gallon of warm distilled water with just a few drops of a mild detergent. Dip a clean cotton cloth in the cleaning mix, and gently rub the wood stock. Rinse with clean cloths dampened with distilled water. Dry the stock with soft cloths immediately after rinsing. No matter how diligent you are, surface rust can happen to original bluing. When it does, use Big 45 Frontier Metal Cleaner to remove rust and then apply a light coat of oil to preserve the bluing. Order Now!